Generally just pretty amazing! Makes me smile! 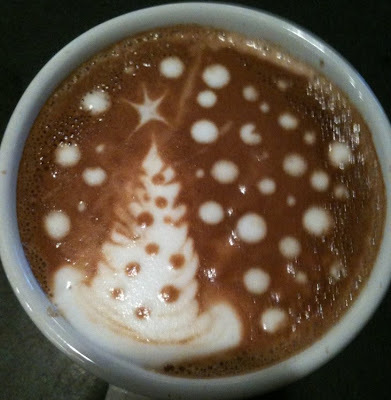 I've always been just a regular coffee guy, but a winter scene in my cup is awfully tempting. And way better than actual winter. she should enter that in a contest. P.S. I am loving my candle this Christmas season! I've been a barista but they didn't teach us this awesomeness @ Starbucks. Your sweet girl is one talented gal. I wanted to wish you & yours a truly special Christmas. Happy New Year- I love your blog!! Thanks, anon. I forgot to take it off!! But he's so nice he's decided to extend it! So the blog code works again. Thanks for visiting and Happy Shopping!! That is one incredbile barista!! !